Get Latest Career Notification about MBA in Finance, by entering your details below. MBA is a 2 year degree programme. You can choose the one of your favorites and interested specialization out of the finance, marketing, HR, Operation etc. Here we are talking about one of the specializations called “Finance”. Students were asked that why you are choosing finance as their specialization. Replies, the financial crisis is being counted as the biggest crises of the world. And we had the experienced that before a couple of years. All countries are demanding heavily the skilled financial analyst against their financial sector for preparation and control. Therefore, MBA in finance is most sought programme in across the world. In this course, the students are offered the knowledge and skills of analytical thinking, continuous process, concept of managerial decision, maintaining balance between risk & profitability, coordination process and centralized nature. The course is included with the corporate finance, budgeting, costing, international finance, investment & securities and working capital management. These subjects prepare the students to work with any financial organization. Actually, the students who have done the B.Com or having commerce in their qualifying examination, they are well going-through the finance, accountancy and related fields. You can initially join as a trainee or finance manager in various companies. You can opt organizational jobs for preparing financial reports or managing investment activities. After completing this course, you can also go for the further research studies. To get the admission in MBA with any specialization, it is necessary to appear and score in GMAT 2019 or CMAT 2019 (Graduate Management Admission Test/ Combined Management Admission Test). Yes, you can do the MBA in finance through the distance learning education programme. Some of the universities like Sikkim Manipal University and Indira Gandhi National Open University (IGNOU 2019) are offering the distance MBA programme. “There are lots of job opportunities are offered in the MBA (Finance) qualified in the public as well as private sector”. “Finance is counted among one of the highly paid sectors of the country”. It is a good paying degree course. Salary is no bar for the qualified and skilled one. A financial manager can earn Rs. 3 to 4 lacs per year. Salary of an MBA in Finance qualified can also depend upon the working experience, qualification, recruiters, geographic location of the organization, etc. After gaining sufficient experience, you can easily earn attractive salary packages in both sectors. For any other queries about MBA in Finance, you can ask us by leaving your queries below in the comment box. sir, currently i am working in mahindra and mahindra finance service limited as a post of recovery and i am plaining to do mba. pls suggest which subject is beter for me…? last year i am passing 12th commerce 78% in marathi Medium.I am midal class & poor. plz tell me short period course prepare myself. I am so confuse. I am in 1st year of MBA and i have to choose specialisation in next year. I want to MBA in Finance but the problem is that i am a BCA graduate with 60 %, 12th with 48 % and 10th with 55 %. Finance is better area for me or not or i will opt to marketing as my specialisation ? if you have interest in finance then only you must choose the finance otherwise your profile does not suits to this career. I’m currently pursuing my integrated course of b.tech cse+Mba and I’m very much interested in doing MBA in finace. Sir I’ve one query which combination is best suited with finance. Marketing or International business as minor subject. Please guide me. I’m confused in both Of these. There are many job opportunities for the Finance graduates in the Pune city..
right decision. don’t think what you have done, think what you can do. mba finace management is good future . My question ask about . 1what it is main important subject in mba fm? 2. 2yrs important subject is what? 3.dual specialisation programme is also study? I m confused between MBA n MCA please suggest me the right choice. MCA is computer application based course while MBA is business management programme. MCA is ok for those having the background in computer as core subjects while MBA can be done by anyone who wish to find his career in management field. Iam a bsc maths student..i prefer to do mba in finance… Is it possible for me? is there any scope in kerala??? MBA in IT or IB would be a good option.. I am a mechanical enng. Student. I got the the job of finanace analyst in one mortgage company. I hve interest in mba (finance) and cmpny is offering mba in distance prgrm so. Is Distance education is beneficial and valued or not. yeah you can pursue MBA and it is good since you are already in that field. In future it will help in future promotions. hi,I did MBA (in finance) i have 2.5years experience in insurance sector but iam intersted in finance company or share market company . how can i enter in these sectors? Sir I have completed graduation with commerce so I want to gud job which suitable for me so should I do MBA or not??? And I’m preparing of uptu and mat so which clg better for MBA??? right now i m working as recruiter and planning to do MBA in finance so that i can do work in deloitte or TCS so what u all will prfer should i go ahead with MBA in finance ?? yes you can pursue MBA in Finance stream, finance executive are hired by almost every organization like IT, Manufacturing, Retail etc. I m doing b. Tech in electronics and communications branch presently in 3rd year. Sir plz tell which course will be best for me and which have government and private sector jobs as well. Both fields are good, finance has ample job opportunities ahead and so to IB, now it depends on your interest if you are interested in finance sector than go for Finance, and if you feel you want to work with international firm and want to work abroad after some time, then go for IB. choose any one like finance, accounts, IB or econ. related to your core study. Dear sir i passed M.com. And Mba In Finance Iwanna Do Work In manufacturing Co. Prsently Working In construction. Co.
Finance is a good field, and you can pursue MBA in finance , if you are looking for career in finance field..Then there are many career options available for Finance executives and are required in almost every industry. Basically am from marketing in mba, but i want to go in finance side, let confusion on my mind. can you clear about such situation how can bare? simple do any short term finance course and get the platform. And am hoping for bank and similar jobs. Cuz I have no idea in this. Choose the MBA in IT. which is your field. Sir, I am an honours graduate in humanities. I have newly enrolled in PGDM course and wish to take Finance as one of the major subjects. Will the absence of a commerce background pose a problem in seeking jobs? May be but if you score the good marks in your running course then this problem will be minimized. I have completed my graduation in 2013, and currently past 18 months i am working in an financial industry i.e.(ocwen). And my dream is to work in banking sector, so i am planning to do distance learning course from icfai in mba finance will it be benefits for me to get jobs in banking sector? yes it may be helpful to you, the other options you have to directly enter in the banking sector is IBPS exam..
Sir, now I am doing job in credit co oprative society as a branch manager but I want to do job in MNC . so,what can I do to get job in MNC. Every field is good and has got good scope ahead, you hav to check where you are interested IB is a good option with finance, as you may get a chance to work with foreign companies. Sir currently I’m planning to do MBA in finance but after 10th I haven’t opted for maths or statistics. Is MBA finance a maths heavy based or should I look for marketing or HR? Finance will surely have basic Maths and statistics, but not heavier, with little bit of extra practice you will cope up with it..
Sir after completing my MBA in finance should i also go for CA to have better job prospectus or be satisfied with MBA only? Sir,I am about to complete my b.com final year and I haven’t given any MBA entrance, I want to do MBA . which one is good for me FINANCE OR MARKETING. PLZZZ tell me i am very confused. Plz suggest me that finance will b best option for me or not?????? It will be the best for you. don’t be confuse you are on right path. i m just appear MBA 2nd semester. i m want to specialization in finance. so please tell me how opportunity have in finance . Sir I have completed my MBA[Finance]. I want know that can I do job in Banks as (S.O. ).I could not get any post for Finance Officer.But bank have many post of (S.O. )in Marketing Officer,I.T. Officer, Agriculture Officer ,Law Officer etc . Please tell me what should I do. I am very worried. Please Email me all details. Thanking You .. I have done MBA-finance,currently working at capital IQ(Since 1 yr) and want to move out as you have said we have many opportunities can you provide me resources…Thanks in advance. Sir,I am about to complete my b.com final year and I haven’t given any MBA entrance, I want to do MBA finance.Can I opt for private institutes???? Yes you can and you must because this is a best course. if you are serving with an industry then you cannot take the regular classes. Go for the distance education. I am doing bcom (hons)..My aim is to do MBA in finance from abroad…So would it be better to have some work experience before doing MBA?.. It will be great if you would have some experience under your belt. To do MBA from abroad you would have to appear for GMAT exam. I am doing mba from Kurukshetra university. Now i am looking for a good summer training in new Delhi. Which can really help me in my future job too.. Appear for CAT exam and secure 98+ percentile. What type of entrance exam?? How is should prepare for that??? How much salary i will earn of doing my mba? Currently I’m doing my bcom (company secretaryship) 1st year ..
After my bcom I decided to MBA finance. What percentage is required to get into MBA?? Which college is best for doing MBA to get more salary? with what percentage is should complete my MBA to get more salary?? After my MBA how much salary i will get?? as the answer of your all question is that you have selected a best option and sure you will get a healthy response of all your expectation if you get the best skills and knowledge throughout this course. Try to get the admission in B-School through the entrance exam. there is no standard % requirement but ensure that you will have to get a minimum of 50%. I am a mechanical engineering student . good. but if you wish to go in your field then it is not. This specialization is offered after any graduation. so it mean that if you have a sound caliber in this specialization after MBA then no need to have the background. I have 6 yrs of experience in Mechanical/electrical machine maintenance after my BE, so will Finance will help my carrier if i do MBA finance now in Part time ? You have earn the 6 years in engineering field. if you switch the career, you would have to start again with the beginning. why you are going to choose the finance field? i is totally different by your career. For my next carrier promotions it may help if I have a mba specialisation na? I have yrs of experience in Mechanical/electrical machine maintenance after my BE, so will Finance will help my carrier if i do MBA finance now in Part time ? Finance is a different different as compared to your work experience, but nevertheless finance is great field and you will surely get benefited with part time MBA in Finance. You can appear for various entrance exams like MAT, CAT, CMAT etc to get admission in top B-schools of the country. DFM is the diploma in financial management. no doubt that it is a good course. any course link to the finance is always right but you need to do the master course. why you go for that. do the MFM or the MBA in finance. I am doing b.com 2nd year, and I want to go for mba finance with operation so what should be next step to take so I will get good colleges. .. There is any experience required after b.com so that will help me in mba? You need to score high and during the last year of your graduation you will have to apply for the MAT exam. i have a completed in PGDM(Finance)2009-11,but i have no experiance in present day because i have a preparing in Civil service. now days need a job but i did not understand,how to find a job pls help me. Hello sir, now I’m pursuing my bcom final year in chennai.I’m well in my studies. (agg per 70%,+2-1065,10th 368)., my father was no more.due to my family situation,I’m doing part time job after my college time.so i cant able to do CAT exam.by god grace i have some family support for my higher studies.please help me to choose which carear i need to select,, whether mba logistics or mba finance. Its good to see your zeal about your study. See, Both field what you have selected are the best. Now the point is that in which field you are more potential and what field you have interest. go with a field of your interest.Do not loose this chance. best of luck. I am confused in selecting a specialization between hr and finance in mba. what would u suggest? how can I decide? I am doing my (ug)civil engineering ,i am interested to do my higher studies i have a confusion whether to do M.E or M.B.A please guide me. The scope of ME is far better than the MBA and the best part is that you are doing B.E. so ME will be OK for you. Sir sought out my problem which i have stated above and wanted to tell you that this course will go on along with my bms and they keep classes on alternative days.moreover they said after this course you will get an salary of 18k nd above.Do you think even after bms i can this amount as a salary. No matter with the salary. once you bag some experience, your CV will flare your career. I have seen so many people who started their career with minimum of bugs but later on they reach on the sky high. Sir I am Deepak gupta .I have completed my graduation in this year.so now I want to make my career in banking sector than.there is any best opportunity in MBA finance course.plllz tell me. 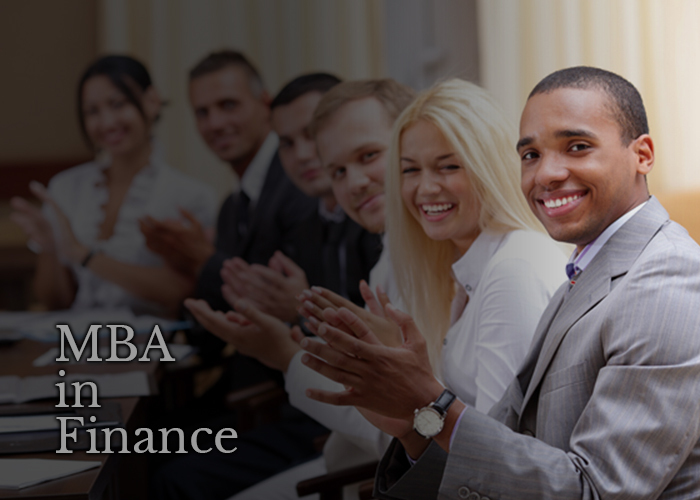 yes MBA finance is a good course, look for a good college with placement record. I have some experience in accounts and sale’s tax, and purauing mba in finance. Is this experience help me in future? Yes, because it is the part of finance. i am still doing my 1st year bms and we are offered some company course certificate its basically on finance as well as marketing.so i am confused which one to do as i hardly have knowledge about it.so i am like “arrow without direction”.i wanted to know what is the scope today and a kind guidance by you .i think you can figure me out through your experience. See, first of all i would like to tell you that now you are doing a bachelor degree and offered a certificate course, then funda is clear now. don’t loose your bachelor for a certificate. second, after BMS you will be counted in graduates but after certificate…???? third, you may get the same specialization after BMS while you will pick the PG/master course. but then the value will be more. Finance and Hrm will be a good option. Which is better course to get good job after MBA, which will give me advantage, to get hike compare to others? It depends on the field what you had in your graduation. basically MBA with finance or IB or Operations are most sought courses. Sir I am student of chemistry Hons of Calcutta University. I am going to complete my graduate in 2016. I want to do mba.what speacialization would prefferable for me? Plz sir suggeste.I am new comer in ur site. The preferable side for you would be in production management, quality management and similar. Which is better course to get good job after MBA ? Basically MBA with finance or IB or Operations are most sought courses. Hi i am giving my last sem exam at present with MBA finance.After this i really need a good guidance where i should start my career with.What will be the best for MBA finance to work with and along with this is there any course which i can do to hold a good job? And also can u please suggest what are the job suitable for this specialisation. You have good career choices. MBA finance is all ways valuable because it contains the tip to hold and grow the financial status of any sector. In my opinion you should now try for banking, finance or insurance sector. you may also try to the corporate sector of any MNC. I have completed my bTech in civil this year. I’m planning to gor for mba in finance in 2016 batch so I will be preparing for the entrances. What I was thinking to have some experience in this field to enhance my CV so that it helps in finding a good job after my mba. But I’m not getting job in any bpo due to my technical back ground. So please suggest me what should I do. Because I just don’t want to sit for whole year n study for entrances. Should go for any job what comes to my way or do suggest me fields in which I can find some ?? See, you have almost going to complete your B.Tech in civil. doing MBA is a good prospects but in finance is totally different with the career what you have chosen in your graduation. if you wish to have the MBA then go with your field, so that, that can enhance enhance your career. and my opinion that you should do any job for your MBA expenses. go in your field. there are many constructions industries mushrooming around us. take a step to them. Sir m doing bsc in mathematics and after completing bsc I want to do MBA in finance…is it a good career option or should I go for something else…please suggest something and if MBA in finance is a good option then suggest me some good colleges for MBA..
I’m currently studied B.Com. I want to you in the MBA finance …course your help for in the course….my Aim on MBA graduate in finance……….I need for help me…..reply……..
We are not getting what is your actual query..we have mentioned complete details regarding MBA in finance in the article mentioned above. Hi i am also a b.com grauduate…now i am doing mba…specilaized in finance…it is a very good sub and more opportunities today. Finance related courses are good and they are having huge demand in the market. My b come is finale. But money problem, Therefor no admition in mba. What are you have possible sugession. I want to do MBA in finannce..Where does investment banking come into picture?? Is it a part of MBA in finance?? I work in IT industry. Doing MBA in finance,do I require any prior knowledge related to it?? I aave total work exp of around 4 yrs. Sanjay, MBA finance is good. every sector has a finance department. no matter if you have the experience in IT. matter is you have the experience and experience never fails. investment banking is a booming chapter in finance because of the highly demand of global market. many industries invest their capital in other firms. investment banking has the principles for that. keep your MBA (F) going on. On this site, I saw many queries posted by people wishing to pursue MBA/Masters in finance after non-finance undergraduate qual. and they have got addressed properly. Just like others, even I have certain queries. I am a BSC.IT graduate(year 2010) with 4 years of IT operations (Semi-tech) experience. Currently,I am pursuing MBA (1st year) from an abroad country. My specialization would be preferably in either Finance or HR, but I haven’t decided on it yet. I have studied commerce till 12th then moved to IT considering the scope but till now I couldnt progress well. The main reason I am not choosing IT now is because of lack of interest and constant upgradations in the sector but now certain misbeliefs regards to finance are constantly bothering me. 1. Is it so that an IT grad with 4 yrs of exp can’t switch fields? 2. Will the finance industry welcome me, considering the switch of field? 3. Will my previous experience go waste due to switch? What are opportunities in Finance field? 4. Would Finance studies in abroad country differ from the one in India? 5. Do you need much of accounting knowledge to enter finance domain? We have deeply researched on that situation and finally reached to the conclusion that you now belong to the IT sector because you have the degree and 4 year experience. You want to go under the corporate/management department and there is no need to be a fully technical or having the B.Tech or M.Tech. You can carry your 7 years precious years with the MBA in IT. By doing so you will be considered as the figure of IT sector. But if you will undergo to the finance or HR, your degree and your experience will not be considered for the finance or HR and you will have to start your career from the initially point and that will take more time to settle. Remember companies in current job scenario prefer to the most younger candidates for initial position.And more over don’t thing that you are a commerce guy. 12th in commerce is not a degree to set the career. You better do the MBA in IT for best career according to your profile. Yes, of course MBA has scope and for that you must do the graduation first (either an academic degree or BBA) and then go for the MBA. can mba finance student get job in private bank secter. If you have budget constraint but still need a quality education which should preferred: MBA or MBS ? Both of them courses are about same just the MBS is more potential to commerce. MBS is a complete package of business studies while MBA has many core specializations which will be more effective to work in global job market. sir,please guide us for MBA enterance exam i am just completed graduation with computer science,i need information about best college and i want to complete details of MBA college ….. Bachelor in Management Study offered by various B-Schools of India. Read her question first, she asked about the best B-schools in the country, and about the entrance exam for MBA in the country. why did u choose finance as ur career option what r the scopes of it? whom ever can do mba finance . you don’t know basics in finance so that you must know about finance basics . in mba finance played vital role . now every university offers dual specialisation you may apt any specialisation finance with any other as your wish .